It was a lovely morning. Morning breeze was just a little cold, neither biting nor soft. Coconut trees stood tall and green. Waves splashed the shore a little far off. A refreshing morning to wake up to! But wait, that was around 6-630 am, after having spent the night in our camp. Let me go back a little? It was dark outside, and calm. Indian Ocean rumbled in the distance and I was looking for the mosquito repellant cream for Malto, my friend who woke me for the mosquitoes loved him, I think. Kiran, the Krazy_Guy was sound asleep and so was Animesh. But that was around 3.30 am. Let’s go further back a bit? 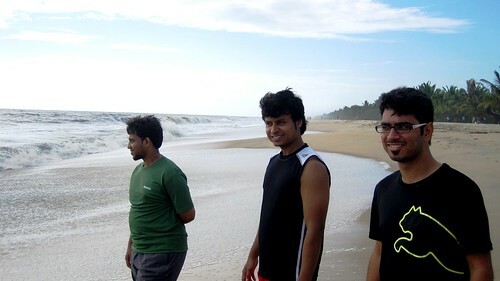 It was Mararikulam Beach and it was around 4 pm. With no plan in mind, we had just come here for some time before we headed off to Alapuzha as the Krazy_Guy wanted to show us this beach his father found some years back. The water was blackish and the weather was awesome. Got in water did we and sunk our hearts too deep when Malto almost lost his balance in a receding wave. It was fun and we needed a bath in clean water after the fun. We bathed in a local house by the beach while we watched the Sun going down in the sea. 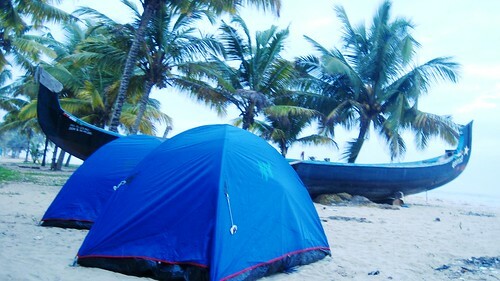 We had camping in mind and seeing the beach getting less and less populated by the minute and least police interference, it was a good spot to be tenting and pushed got Alapuzha till next morning. We pitched our tents displaying a sheer amount of collective team effort, with me doing the work and the rest looking and learning! The tents were up and the dinner was arranged from a restaurant nearby. There was butter chicken and chapatis for my friends and a random veg curry for me, and we had it all fitting together in 1 tent somehow. Endless talks followed and the snacks! 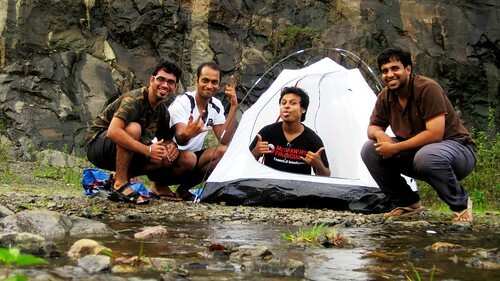 Camping in Kerala is still unheard of, except in few places where organized treks and camping facilities are available. If you’re camping, inform and seek permission from the guards on duty at the beach. 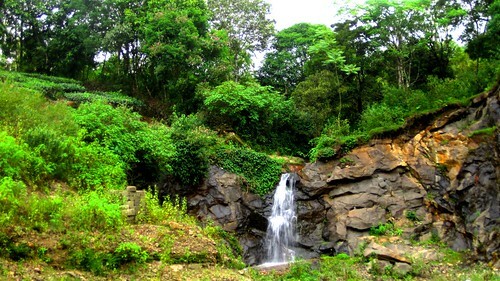 With the coastal line running through entire Kerala, you have lots of beaches and also the hills and waterfalls to camp. We had a camping 2.0 experience on the same trip as we reached at a secret waterfall (unknown to many and isolated, almost) amidst the beautiful tea plantations, thanks to Krazy_Guy and his explorer dad. 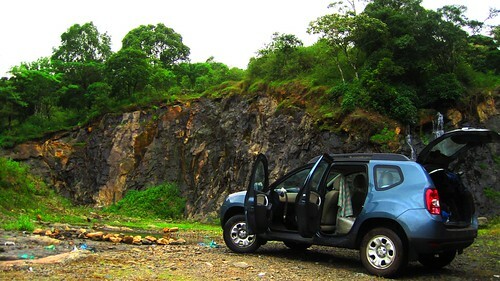 The spot was somewhere in Kottikanam, around 40 kms from Thekkady. It was around 6pm and the water was cold. We stood under the waterfalls, shouted, enjoyed and felt cold. We jumped in our tent right after that and it was a saving grace from the cold breeze of the hills. The earth down below had lot of pebbles and we had spread a lot of newspapers and all our bedsheets on it. We sat inside, and talked and laughed while the stream from the waterfalls flowed close to our tent. And then there were cards and the torchlight! We played the cards for a long time, lost and won many a games! Finally, we left from the place around 8.30pm with smiles and memories, and a half drained torch. To catch up with the remaining episode of our Kerala trip, do tune in again no. P.S. 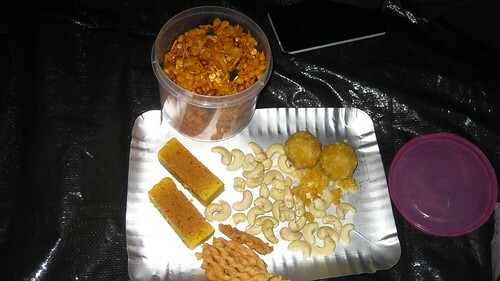 Snacks were LG’s doing, my friend, whose brother we thank for wedding and giving us an opportunity for visiting the majestic Kerala! It’s the beginning of 7 Days 7 Posts resolution I have undertaken to catch up with the pending posts. Hope I kill some laziness this time around! See ya tomorrow? Beautiful pictures! 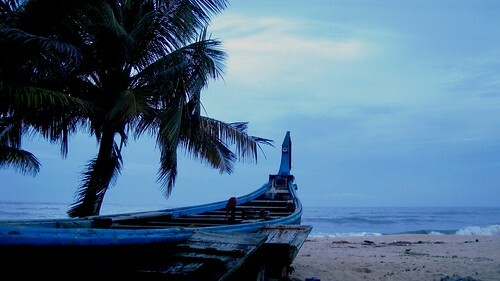 I’ve never been to Kerala, and now I want to! haha 😀 I’m sure you also run into a lot of adventures cycling your way. No? Hehe, I have had good camping experiences now. 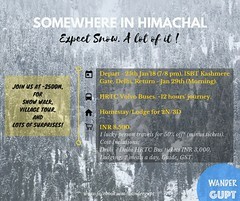 It’s always awesome, try it out once, you will love it. 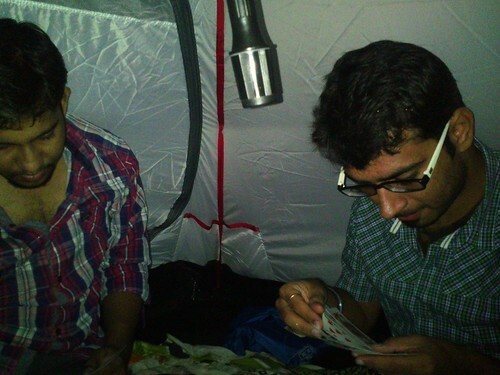 Even though I am a Keralite, I am still far un-informative on camping. But you have described the trip very well and, it seems you have traveled more of southern-India. Your blog is good enough to make you quit your job and travel other places. All the best Jatin! Thank you so much Tara, that’s one if the most encouraging comments I have had so far on this blog. I have traveled extensively throughout India and esp. North but as it happened I started documenting only recently when I was working in Hyderabad, which is why lot of South Indian travels you see. I really hope what you said materializes soon! Bro, Can you elaborate the process for getting the permission for camping. There is no elaborate process or step by step guidebook to follow, but you must get in touch with local authorities in the area and brief your plan about camping at a place and seek permission about the same. Usually, the nearest Police Station works, if there is no security person in that area. Bro ,atleast can u say position of the officer from whom permission has to be bottom?? Sorry for the late reply Arun, been keeping away from the blog. Please go to the area you’re camping, and locate a guard or security person who is nearby. Else, find out the nearest Police Station to that area, and seek permission from them.